Enjoying your food is one of the great wonders of the world, imagine a world where you were deprived of trying new and culturally different foods!? And if you are trying to lose weight you may be wondering what are the best foods for weight loss? Can I still enjoy all types of cultural dishes from around the world? We at The Healthy Mummy want to change the stigma that tasty food has to be unhealthy! Our 28 Day Weight Loss Challenge includes over 4,000 weight loss recipes hailing from all over the world, and the best part? You can still lose weight! We should all be so lucky to taste, try and see food from around the world. There are so many flavours and dishes that we all probably haven’t tried that are oozing with nutrients, colour and vitality. As we are lucky enough to live in such a multicultural country, Australia is full of flavoursome dishes hailing from some of the most exotic places such as Mexico, Italy and India. Wanting to try all of these dishes, however, can sometimes take its toll on our waistlines. They may make you think are they really healthy meals for weight loss or just sometimes treats. When it comes to eating these beautiful foods we sometimes overindulge, this then leads to deprivation. Deprivation can then lead to binging and so on and so forth. You’ve eaten at your favourite Mexican restaurant three times this week or you’ve actually made Mexican food from scratch. But then you’re so full and guilty for not eating healthy meals all week that you now have banned yourself from it. Sound familiar? The Healthy Mummy surrounds itself with the core belief that all food groups are included in daily meals, meals are not skipped and there is no guilt involved when eating healthy meals for weight loss. We are here to help you take away the idea of depriving yourself of certain dishes as we believe all food can be adjusted to be more of a healthy meal in order to make you have more energy, keep on top of weight loss goals, maintain weight loss and form new healthy habits. We haven’t come across someone who didn’t like Mexican food, which is probably why so many of our meal plans incorporate healthy meals that are Mexican! 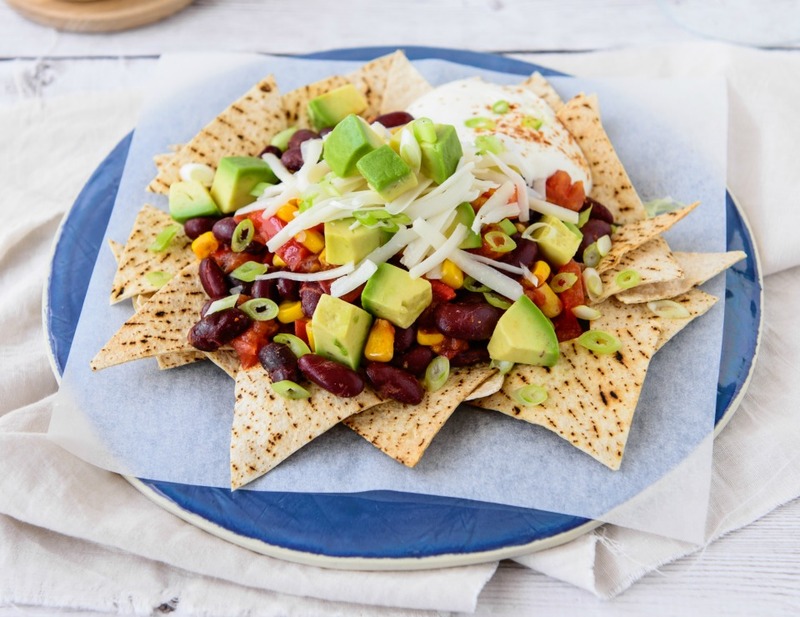 Think, Kid-Friendly Nachos, Burrito Bowls and so so much more! Mexican is full of flavour, spices and protein. When eaten in moderation, Mexican dishes are a great way to incorporate more legumes into your meals. Plus when you think of Mexican food you don’t typically think it would fall under the category of best foods for weight loss, but when done right it can be a flavoursome and healthy meal in any weight loss meal plan. We often recommend healthy dips as part of our 28 Day Weight Loss Challenge and Guacamole is no different! As avocado is the base of this dip, it is full of healthy omega 3 fatty acids and not to mention tastes amazing! Check out this Spicy Guacamole Dip to load your next meal up with flavour. Usually what comes to mind when the words salad are read is boring. This actually is not the case, at least when it comes to The Healthy Mummy recipes! Adding seafood into a salad is a very Mexican thing to do, and we like it! Why not try our Grilled Fish with Mango Salsa recipe to incorporate some Mexican flavour into your next healthy meal. We understand raw fish is not for everyone, but for those that do like it or aren’t pregnant, having ceviche can be really beneficial for protein, vitamins and minerals. When eating or making, make sure to stick to lime instead of drowning the fish in sugary sauces. This cultural dish is packed full of protein and Mexican spice, making it a great healthy meal for weight loss. Get cooking with this healthy Chicken Fajita recipe. If you don’t like chicken, try these Pulled Pork Fajitas. If you’ve ever been lucky enough to visit Italy, you’ll understand why Italian food is considered one of the best in the world. From pasta to oils and even amazing vegetables, the Italians know how to pack a punch! They also know how to make us want more! When eating Italian food, you don’t always have to go for the creamy, calorie-laden options. There is an abundance of healthy meals that are Italian dishes including pasta and pizza, with a little bit of help from The Healthy Mummy. But is Italian food really the best foods for weight loss, absolutely when done with a Healthy Mummy touch. Make it a healthy meal! Pasta doesn’t have to be a heavy meal. Using light, fresh ingredients, anyone can make pasta just as nourishing as a salad. Try your hand at it with this recipe! Love pizza more than your children sometimes? Same here. Instead of ordering in and eating a not so healthy pizza, make it a healthy meal your whole family will love! 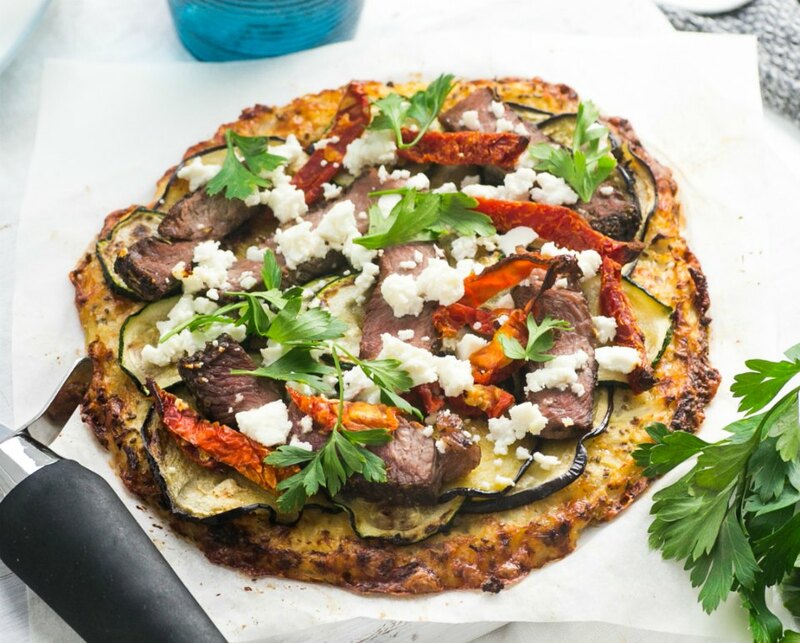 Check out or 2 ingredient pizza dough recipe to form the base of your pizza and top with fresh produce, protein and a sprinkling of your cheese of choice. Fresh, bright green vegetables just make us feel good and we know that they are some of the best foods for weight loss. Low in calories and full of micronutrients, Italian dishes are actually full of greens and for good reason! Whip up this Creamy Tuna Pasta and add your greens! Cooking with the right oils can also assist while looking for healthy meals for weight loss! A staple in Italian cooking, olive oil contains modest amounts of Vitamins E and K and plenty of beneficial fatty acids. Extra virgin olive oil is also loaded with antioxidants! Flavour central! Indian food is full of whole grains from lentils, pulses and legumes. Indian takeaway, however, can be very high in calories. Depending on how the dish is cooked, and the regional cooking style, many Indian dishes are very high in calories and are cooked in ghee (clarified butter). This would make you think that Indian food is not one of the best foods for weight loss. But if you love a curry don’t fret you can still eat Indian food for weight loss! 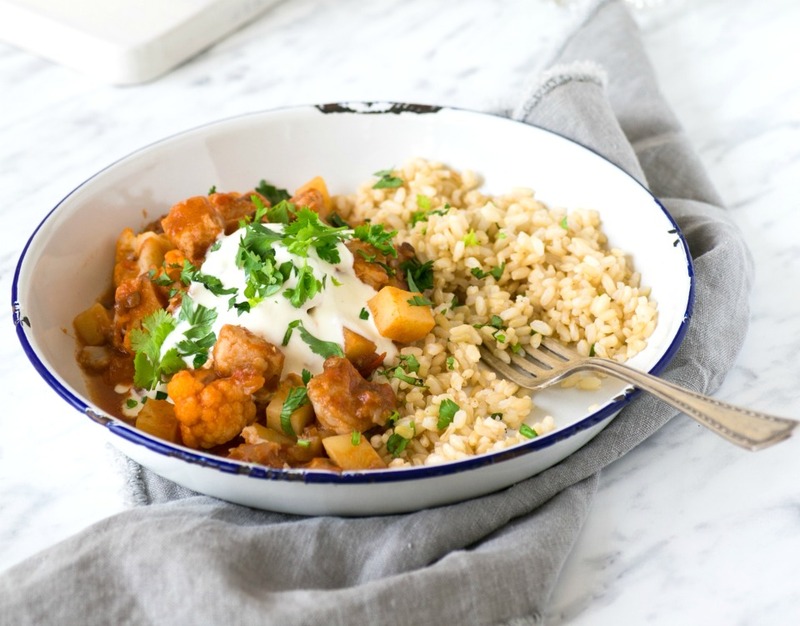 Try our Easy Butter Chicken and don’t feel like you’re missing out! Lauki is also known as bottle gourd or opo squash is used in Indian cuisine in various ways. Lauki is also called dudhi and is basically an Indian vegetable. It is actually a fruit from a vine and is also used in Indian desserts. With a range of health benefits, Lauki is a great Indian food for weight loss. It can help the maintenance of a healthy heart, aid weight loss, treating sleep disorders and actually reduces stress due to its cooling effect on the body. A cereal dish that can be eaten for breakfast, lunch or dinner! Made from cracked wheat, Dalia is considered one of the healthiest dishes in Indian cuisine, it is high in protein and fibre it is another great Indian food for weight loss as it aids digestion. Get some lentils on your plate with this Pumpkin and Lentil Curry recipe. Like sweet basil seeds, Sabja is full of antioxidants making it great for your skin! Similar to chia seeds, Sabja are best consumed when left to soak and added to any healthy meals from breakfast, savoury dishes to smoothies. Can’t find Sabja at your supermarket? Try this Indian Savoury Pancakes With Chickpea Salad for your next homemade Indian dish. A popular Indian yogurt-based drink, which we in Australia would call it, Buttermilk. Chaas is usually consumed with meals as a cooling and digestive drink. If you want to push your weight loss efforts into a higher gear, be sure to add these five Healthy Mummy Smoothies to your healthy meals for weight loss. It is not surprising that Japanese food is considered one of the best foods for weight loss (they have the longest life expectancy over any other in the world). From fresh fish to exotic vegetables, Japanese dishes are endless and ever-growing in the western culture and really healthy meals. When we think Japanese, we think sushi because it has become so westernised. It’s a go-to lunch for most workers and quick healthy meal for your kids and your family. However, takeaway sushi rolls should be eaten in moderation due to the added sugar in the rice and sometimes added MSG. If you want the healthy meal for weight loss version why not try your hand at making your own sushi! This Make Ahead Tuna Avocado Sushi will be an absolute winner in your kid’s eyes. If you are buying your sushi make sure to be aware of the fillings you are going for as that is usually what takes it from a healthy meal to a not so healthy meal. Believed to stimulate digestion and energise the body, miso soup is consumed in Japan before meals. Miso is fermented and is great for gut health which makes it a great inclusion in your next healthy meal for weight loss! You can find this dish on most Japanese restaurant menus! Try these Miso Beef Noodles for a delish meal. Japanese dishes are abundant in vegetables, from sweet potato to cucumber, radishes, eggplant, and pickles. There is almost always at least one vegetable in any kind of Japanese dish which is why they are some of the best foods for weight loss! 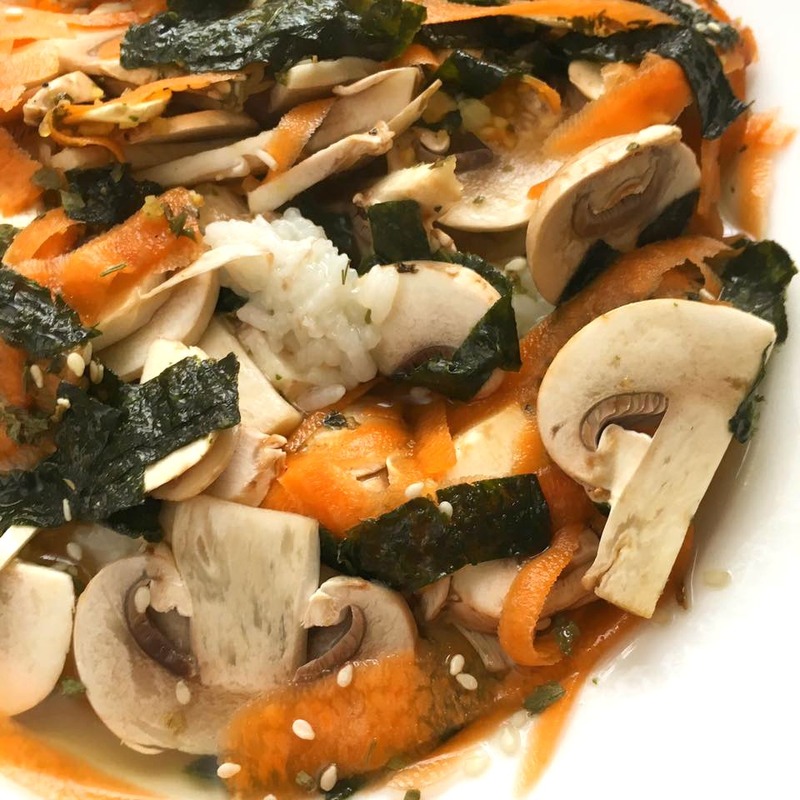 Try Ochazuke recipe which is a popular Japanese dish, made with green tea infused rice, soy sauce and lots of fresh veggies. If you love a good green tea, keep sipping! Whether you are trying to lose weight or just eat well, we recommend drinking green tea each day as part of our 28 Day Weight Loss Challenge. A staple in Japanese culture, green tea is consumed regularly as is Matcha. A new ‘superfood’ here in Australia, Matcha powder is used in oodles of ways. Try this Healthy Mint Matcha Slice which is just 183 calories! Something to note is that the Japanese are strong believers of ‘flexible restraint’ when it comes to treats and snacks, enjoying them from time to time but in smaller portions. Portion control is a great tool to utilise. Japan is a country surrounded by the ocean, so no wonder they have such fresh seafood they are able to consume it raw in the form of sashimi. Here in Australia, we are also very lucky to have similar access to fresh seafood which is full of antioxidants and reduces the risk of cardiovascular disease. Try this No-Rice Salmon Sushi to get some fish into your healthy meals. Chinese food is usually thought to be oily and calorie-laden so why is it on our list of the best foods for weight loss? Because this is actually not the case in traditional Chinese food. Traditional dishes are full of vegetables, protein and fibres. Takeaway Chinese doesn’t have to be avoided when looking for healthy meals for weight loss, making sensible choices such as steamed vegetables or Chinese noodle soup could be a healthy option for you while not missing out. Better yet make your own Chinese! Try this healthy Chinese Beef And Snow Pea Stir Fry! They don’t say soup is good for the soul for no reason! Chinese soups are a cleansing dish and are used as medicine in the traditional culture so you know they have to be one of the best foods for weight loss. This Chinese Chicken Soup is cleansing and invigorating and could be part of your healthy meals for weight loss. Chinese dishes can be exceptionally healthy meals as many of them are steamed which requires no oil, retains the vitamins and minerals of the food, and is the most natural way to eat foods other than raw. 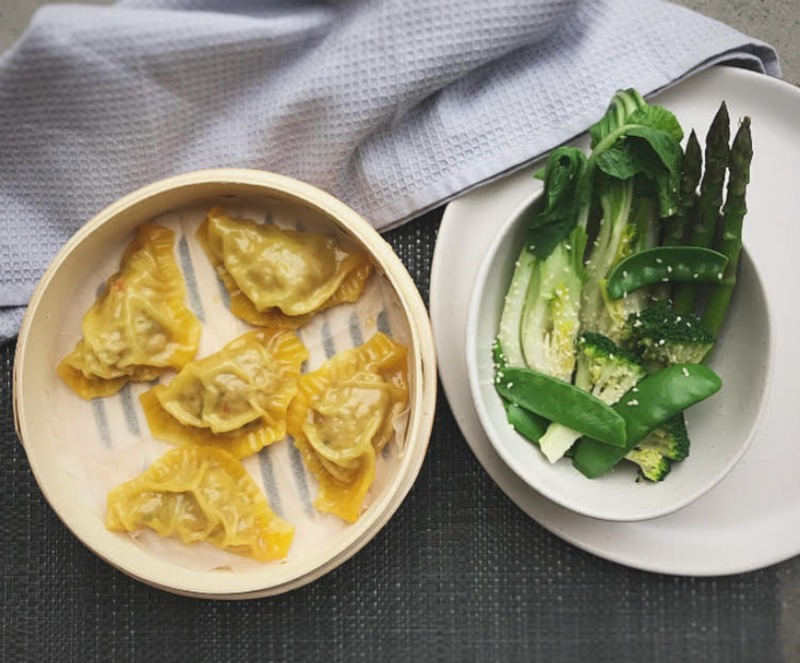 Steam up these Asian Pork Dumplings today! Chinese green tea is consumed as a loose leaf tea and the traditional green tea originated in China! Most of us have heard that green tea is a great addition to any healthy diet and that it helps you LOSE WEIGHT! But how exactly does it work? Here are the benefits of Green Tea. If you are looking for the best foods for weight loss or even just maintain your weight loss there are certain foods and dishes to avoid or even limit. Fried foods contain trans fats which are produced during the manufacturing process and are linked to heart disease and cancers so avoid them as much as possible! Steaming, or lightly frying your food in a wok can make a healthy meal for weight loss. This Rainbow quinoa salad with Thai satay dressing can be eaten raw! Artificial food can lead to metabolic syndrome which can increase your risk of diabetes, stroke and heart disease. This is because foods with added flavouring and usually contain intense artificial sweeteners to mimic real flavours. Free sugars contain glucose levels that cause blood sugar spikes, these spikes leave us feeling tired and hungry afterwards and usually then cause overeating. Eating sugar as close to ‘natural’ in the form of fruits, which contain other healthy nutrients, is the best way to control your sugar intake. This is how much sugar we should be consuming. Too much of any food is not good the food that could be deemed even the best food for weight loss. Get to know your portion sizes and stick to serving that size up on your plate. Portion control is one of the most important factors in weight loss, weight maintenance and weight gain, especially when you are trying to lose weight. Follow our portion control guidelines here. When you are looking for the best foods for weight loss don’t shy away from cuisines from other cultures. Including dishes from these four countries will give your meals a variety, leaving you feeling satisfied and avoiding you from feeling bored in your healthy meals for weight loss. 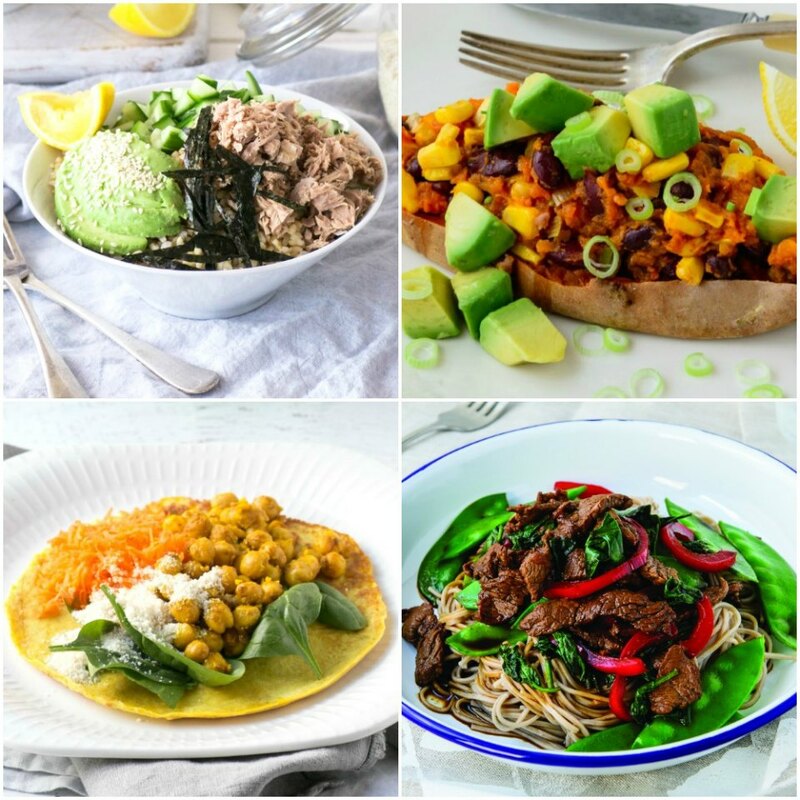 Not only does cooking these international dishes give you an abundance of nutrients, but it also gives you free reign to experiment with flavours, ingredients and healthy recipes you didn’t know could be made into healthy meals! If you need some inspiration for your next weight loss meal plan there are thousands of healthy recipes from all over the world that still allow you to reach your weight loss goals. Available as part of the 28 Day Weight Loss Challenge. 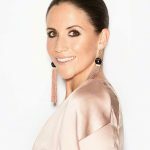 Katie is a yoga loving writer from Sydney's northern beaches. With a flair for healthy baking you can find her scouring Instagram for the latest take on raw brownies and trolling Pinterest for interior design inspiration!